With an organized ToDo list you will be able to eliminate the stress caused by the vast quantity of tasks that we must do. This way you can fully focus on one task, instead of thinking about what you need to be doing next, or worrying about what you might have forgotten. Why should you make ToDo lists? By organizing things to do you can improve your efficiency and achieve goals set. The very fact of recording a specific task helps motivate you to start executing it. In the evening, you will not be feeling demotivated if you don’t do something you were supposed to do that day. Another advantage of making a ToDo list is backing up your memory. You know you have to do something or an idea comes to your mind. Write it down on a piece of paper and not have to focus on memorizing the task. After some time, just look at the paper and everything is clear. A ToDo list will allow you to relieve your mind and help you eliminate the stress associated with the amount of work you have to and haven’t carried out yet. If you are starting to feel doubts that you are not achieving enough, just look at your ToDo list and see how many tasks have already been completed. Are you one of those people who can not focus on one task and when they start doing something they end up browsing websites or Facebooking? A ToDo list will help you improve your self-discipline and keeping track of the status of a specific task. How to create a good ToDo list? We already know the benefits of ToDo lists, but how should you start making one? It’s not very complicated and if you use a few tips, success is guaranteed. You should have at hand something that will allow you to quickly write things down or to check things to complete today. Nowadays it can be an app for your smartphone or tablet, instead of the traditional pen and paper. Try to make a ToDo list for the next day the day before. 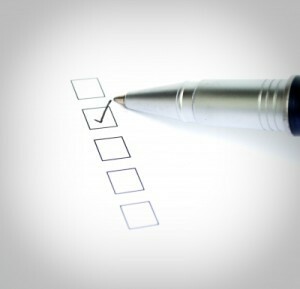 Thanks to this method you can easily modify the list if you remember something in the evening or in the morning. And of course start carrying it out. You can create a second list of things that need to be done this week. It’s not a very detailed list, but rather a general one. It can contain larger tasks that can be broken down into smaller steps and complete them in the daily system. Such a list will make it easier to manage the daily lists. The daily list should contain only simple, specific tasks. If the task is complex, write it down on the weekly list (you can divide it into smaller tasks). Put the single, specific tasks on the daily list. Of course, there is no set time that you can spend on performing a specific task. Try not to put task that last more than 1-2 hours on the list. An example is the organization of a holiday trip. This is really a complicated operation. You can divide it in finding the area where you want to go, searching for tour operators who organize trips to this area, checking offers of travel agencies and finally booking the selected trip. So a task like this should be put on the weekly list and the individual sub-tasks on the daily lists. If you put too many tasks on the list you will end up not completing them. Unfinished tasks transferred from one day or month to another day can cause frustration and will make you abandon the idea of making ToDo lists. The weekly list shouldn’t consists of more than 15 tasks, the daily list – more than 10. Of course, there are exceptions to this rule. If something is important, but will take only a moment, the number of such tasks may be higher. It is important that your ToDo list is prioritized. You can have a general list where you write down every little thing to do. This will be the basis to create creating the weekly and daily lists. The list will contain a lot of general tasks. Use priorities not to search for those that can be carried out. This way you will know where to start. When a task is finished, tick it off. If you didn’t manage to complete a certain task, put it on a list for the next day/week. Every evening make a summary, which will be an excellent introduction to creating a list for the next day. Your ToDo list should not only contain unpleasant things. Put things like “meet a friend”, “buy your favorite author’s book” etc on the list. Don’t let the list remind you only of chores. On the internet you can find applications for your computer or phone, that you can link to your mail. This way you will have access to the list from everywhere. But it’s up to you to choose the optimal form that’s right for you.